EZ Rider Ladder Rack - Sauber Mfg. 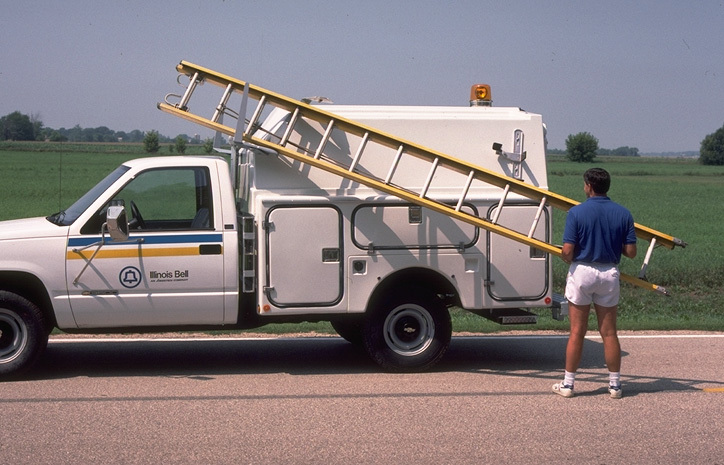 Co.
the Sauber Easy Rider Ladder Rack provides the solution to a long standing field problem: Old style racks are hard to load; new styles are hard to reach, and both can damage fiberglass ladders. This new generation rack provides a firm yet non-binding hold for ladders. 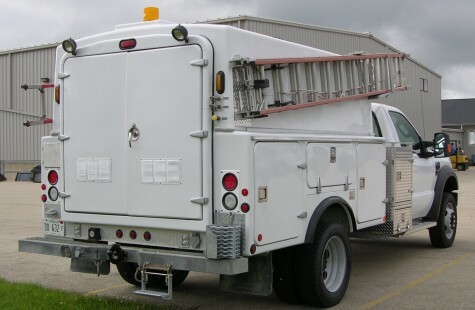 The ladder is quiet in transport because side-to-side movement is eliminated. Install bracket 8320-AD at a 5-20 degree angle near the rear of the superstructure allowing adequate room to adjust vertically later. Install bracket 8320-AB/AC in line with the rear bracket at the front of the superstructure. Utilize a ladder to align if available. 3. 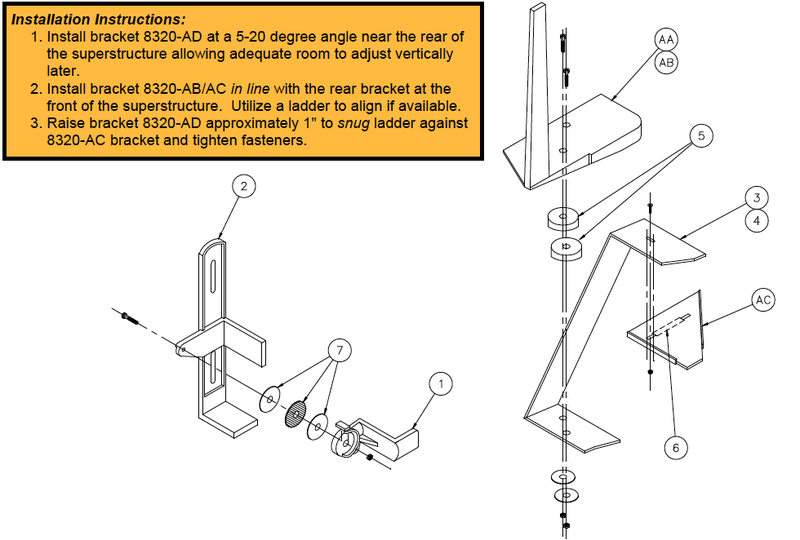 Raise bracket 8320-AD approximately 1″ to snug ladder against 8320-AC bracket and tighten fasteners. Adjustable Almag rear support with heavy rubber dip coating provides a secure ride for your ladders. Double nylon dipped front support with top rubber inset allows smooth loading and provides firm support. Simply place front end in the rack, raise up the rear of ladder and guide into support. Fold over the lockable latch and you’re on your way. 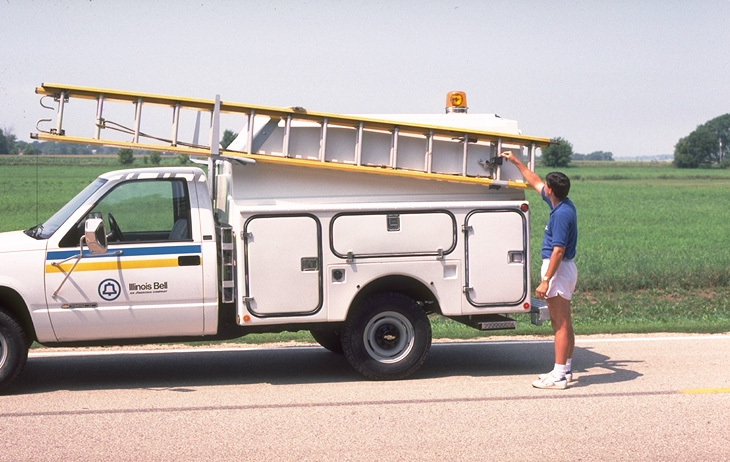 Even employees of small stature can load ladders easily. 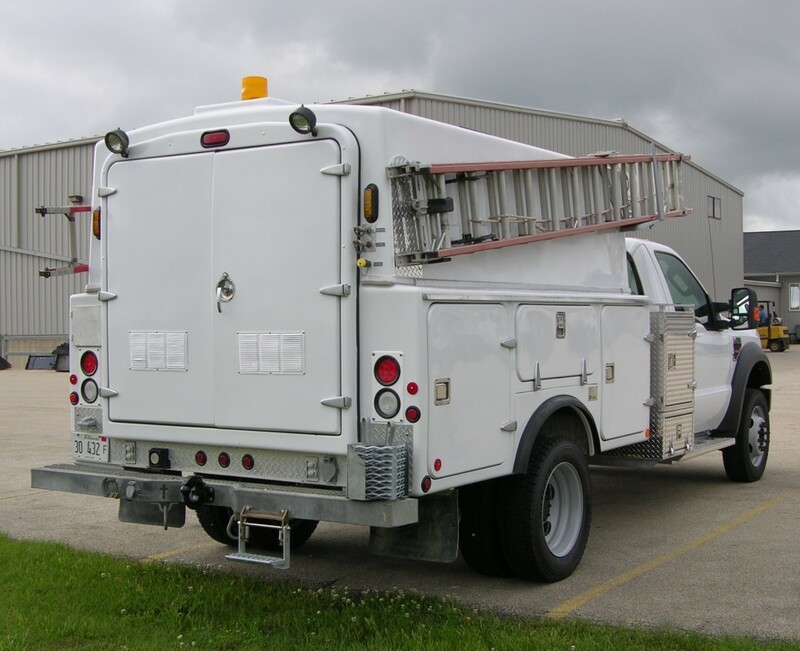 Can be used safely on all vertical structures including cube vans and walk-in type bodies. For bodies without superstructures specify compartment mount kit. 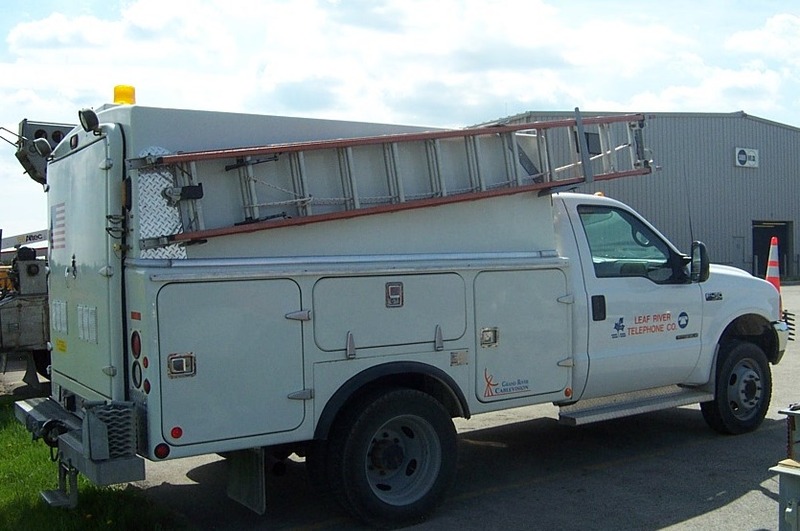 Fits single and extension ladders.